The author would like to thank Igor Rozenberg for his help in preparing this section. 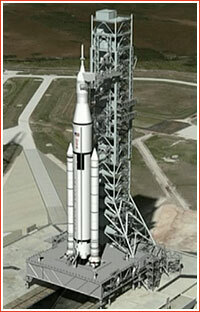 In 2012, Russia's leading space developer, RKK Energia, revived its proposal for a heavy-lifting launch vehicle that would be developed jointly by several former republics of the Soviet Union. Still considered radical by many, the idea traced its roots to the beginning of the 1990s. The disintegration of the USSR in 1991 had a devastating effect on the Soviet space industry. Newly installed political and economic boundaries threatened to derail space projects involving entities located in various newly independent states, unless leaders of the Russian space industry and their new neighbors would learn to cooperate. One of the early projects aimed to bring back together rocket industries in Russia and Ukraine was called Sodruzhestvo (Alliance) and aimed to build a new-generation launch vehicle. Unfortunately, it proved to be too far ahead of its time, as former Soviet republics were drifting apart. In mid-1990s, Russia's prime developer of manned spacecraft, RKK Energia, worked on an ultimately fruitless bid to lead the development of the Angara rocket, the first post-Soviet Russian rocket project. 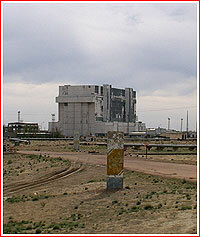 Despite a key requirement of the Russian Ministry of Defense for the future rocket was that its entire production and launch facilities to be consolidated inside the Russian Federation, RKK Energia tried to reason that the involvement of former Soviet republics, first of all Kazakhstan and Ukraine, at least on the civilian side of the program, could be mutually beneficial to all sides, especially in the era of collapsing state funding in Russia. Particularly, Kazakh and Ukrainian participation could theoretically enable RKK Energia to use extensive hardware, infrastructure and experience left over from the Energia super-heavy launcher. In 1997, the Deputy Chairman of the Russian government V. M. Serov returned from a visit to Baikonur with a stunning proposal to restore the launch facilities of the Energia rocket and rebuild the rocket's smaller sibling -- Energia-M -- in a joint effort of former Soviet republics. He requested RKK Energia, the main guardian for the monumental project, to prepare its ideas by the 40th anniversary of the Sputnik launch coming in October. By the end of the year, RKK Energia prepared initial materials for an engineering report on a heavy-lifting rocket named Sodruzhestvo (Alliance). It was expected to emulate the architecture of the Angara rocket, but with the involvement of Ukraine, Kazakhstan and Belarus. It would be based in Baikonur. The head of RKK Energia Yuri Semenov sent a proposal for the project to the head of the Russian space agency, RKA, Yuri Koptev and prepared a note on the subject for the Russian president Boris Yeltsin. In his letter to Koptev, Semenov pragmatically rejected the idea of restoring Energia-M, as that vehicle was clearly oversized for the current scale of the Russian space program and most of its support infrastructure and personnel was lost in the post-Soviet collapse. Instead, RKK Energia called for involvement of former Soviet republics into the Angara project. 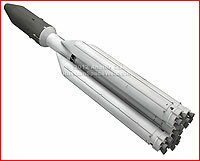 The proposed vehicle would feature three boosters on the first stage resembling those on Zenit, but equipped with two-chamber RD-180 engines instead of four-chamber RD-170. Straight borrowing of Zenit's boosters with RD-170 engines was also briefly considered at RKK Energia and at KB Yuzhnoe, however the resulting 40-ton payload of a three-booster configuration was deemed too large for immediate economic needs. In his letter to the government, Semenov reminded that RKK Energia had already developed an advanced flight control system for the Sea Launch project, which could be recycled for the new effort. 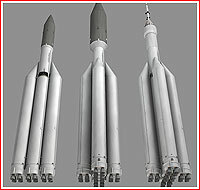 Semenov also stressed that in case RKK Energia's proposed architecture of the Angara rocket were accepted, orders for the manufacturing of its stages with a diameter of 3.9 meters could be placed to Ukraine-based Yuzhnoe plant, which had all necessary infrastructure for the Zenit rocket of the same caliber. Semenov proposed to name the vehicle Energia-Sodruzhestvo or EnerS. Semenov also pointed out that, while the testing and initial deployment of the rocket would take place in Baikonur, nothing would prevent Russia from developing its domestic capabilities to produce and launch the same rocket or even its heavier derivatives. On April 1, 1999, Koptev and Semenov had a meeting with the Kazakh president Nursultan Nazarbaev in Moscow, where they discussed urgent issues around Baikonur, but also touched upon the idea of the Sodruzhestvo launcher. Yet again, Koptev mentioned that Energia-M could be rebuilt in a joint effort for mere $100 million, which Nazarbaev characterized as "pocket change." In turn, Semenov considered this estimated price tug as way too optimistic. A day later, the chairman of the Russian government Evgeny Primakov called Koptev and told him that Nazarbaev and a Ukrainian president Leonid Kuchma had been in his office and both enthusiastically supported the idea. Primakov asked Koptev to prepare technical and economic justification of the project for discussions within days. On Saturday, April 3, Semenov called up an urgent meeting of his top managers to formulate the company's position on the subject. RKK Energia re-confirmed that Energia-M had been beyond revival, but the Sodruzhestvo proposal from 1997 had remained sound. On April 7, Koptev described the plan to Evgeny Primakov, the Chairman of the Russian government, who then sent him to his deputy Yuri Maslyukov to work out technical details. Primakov also directed his assistant on relations with former Soviet republics to work out political details. However, the project soon bogged down in Russia's complex international problems related to the Kosovo conflict and, later, in the internal problems of the government cabinet. On May 12, President Yeltsin fired Primakov, followed by short-term appointments to the chairman's position. Semenov then tried to revive the idea again during a visit to Ukraine of the Russian president Vladimir Putin in 2001, which included a tour of the Yuzhnoe rocket development complex in Dnepropetrovsk on February 12. Yet, again, the Kremlin apparently had little interest in joint projects with former republics. Under Putin, "not a single dollar to Ukraine" became essentially a motto of the Russian government in relations with its closest neighbor. 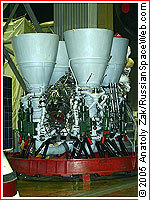 After year 2000, KB Yuzhnoe in Dnepropetrovsk, Ukraine, also briefly considered upgrading the Zenit rocket for the Sea Launch venture with a second asymmetrical booster, as well as building a three-booster configuration. In mid-2000s, KB Yuzhnoe started evaluating three-, four- and five-booster architectures for Zenit upgrades, but again without results. At the end of August 2012, RKK Energia proposed to revive the Sodruzhestvo project, publicizing a new plan to build a heavy-lifting launch vehicle, this time in an alliance between Russia, Ukraine and Kazakhstan. According to RKK Energia's president Vitaly Lopota, the rocket could deliver between 60 and 70 tons to the low Earth orbit. (576) This amount of payload would match initial capabilities of the American SLS rocket, which was in development at the time. It would also be enough to launch practically all components proposed by RKK Energia for the most ambitious manned space flight projects, such as a base on the Moon and even expeditions to Mars. From rather vague reports in the Russian media, it could be concluded that the launch vehicle was to use refurbished launch pads at Site 250 and Site 110 in Baikonur, which were originally intended for the Energia-Buran reusable system. Ironically, for almost a decade, Site 250 had already been "booked" for the Russian-Kazakh venture aiming to bring the Angara launch vehicle to Baikonur, however the project stalled by delays in the development of the rocket and by disagreements between Russia and Kazakhstan. Apparently, in case of Kazakhstan's non-participation, the Russian version of the Sodruzhestvo rocket would require the construction of a new launch complex in Vostochny cosmodrome in the Russian Far East. However in this case, the implementation of the project would take considerably longer. 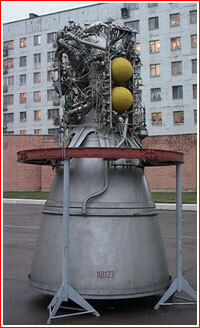 In 2012, the Sodruzhestvo project probably emerged from previous proposals for the Energia-K rocket. Energia-K would also use hardware derived from Zenit, but built entirely inside Russia. At the time, all indications were that Russia's own space budget would not be able to afford a project of such a scale. The Sodruzhestvo rocket would be built by clustering four first-stage boosters of the Zenit rocket around a single core stage, also derived from Zenit's first stage. The Zenit would also provide its second stage to serve as a third stage of the new rocket, but carrying as much as 93 tons of propellant. The vehicle could deliver up to 64 tons to an altitude of 200 kilometers and an inclination 51.6 degrees, after its payload would use its own engine to complete the orbital insertion. An intermediate version of the rocket that would use only two strap-on boosters on the first stage and reduced propellant load on the third stage to 88 tons could deliver estimated 36 tons of payload to the low Earth orbit. As of August 2012, it was unclear whether the Sodruzhestvo proposal had any backing from the Russian government, let alone among leaders of Kazakhstan and Ukraine. RKK Energia's previous efforts to get federal funding for the Energia-K project had gotten nowhere so far. However given financial realities of the day, it seemed to be the only financially realistic proposal to build a heavy lifter anywhere in the former USSR. Although, politically, the Sodruzhestvo concept might've been unworkable, the proposed design of the vehicle remained a basis for further studies of heavy and super-heavy launchers at RKK Energia. In June 2013, the company's president Vechaslav Lopota described a Zenit-based launcher studied as a part of an industry-wide effort aimed to determine a possible architecture of the super-heavy rocket, in case the Russian government approved such a project. RKK Energia envisioned a 2,350-ton rocket capable of delivering 75 tons to the low Earth orbit from Vostochny beginning in 2020-2022. Dimensions of rocket stages were designed to enable their transportation by aircraft from their factory to the Far-Eastern launch site. In the following step, the vehicle could be upgraded with a hydrogen-burning core stage and switch from three-stage to two-stage architecture. With three, four and six boosters on the first stage, such launcher could deliver payloads ranging from 90 to 170 tons, Lopota told the Interfax news agency.